»News»The stuff from which nightmares are made! The stuff from which nightmares are made! 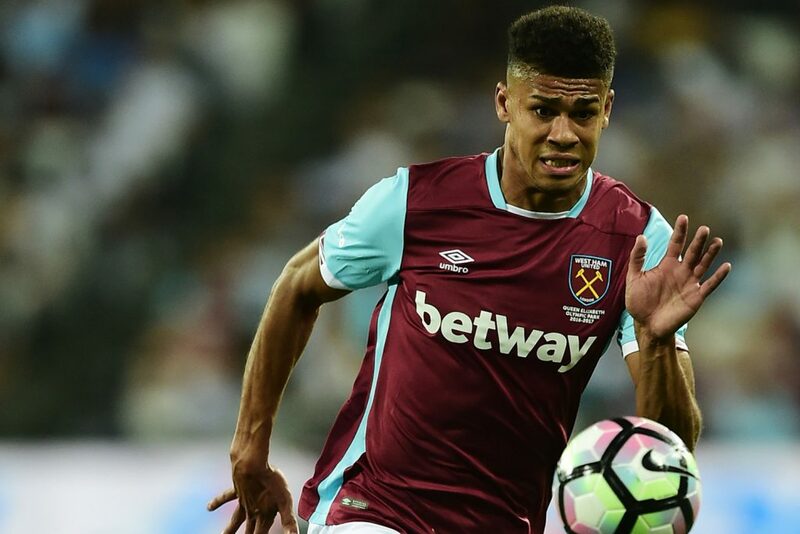 Ashley Fletcher scored the most memorable goal of his young life back at Old Trafford to give the Hammers hope of progress in the EFL Cup. But in the end they were overwhelmed by a buoyant Manchester United and this performance demonstrated very clearly indeed that our problems go far deeper than finding a striker. For in Fletcher we have one of the most promising to join our club in years – what we don’t have is a single decent back up player to our top 11 who gives us anything. Tonight it was the turn of Fernandes and Feghouli to step up – the Switzerland international was okay but no more than that whilst the Algerian was quite awful and another example of the horrible signings policy of the summer. Then towards the end, the absolutely horrendous Zaza appeared and once again you slowly lost the will to live as the Hammers disintegrated into a shadow of the team we saw last season. With Aaron Cresswell and Michail Antonio being withdrawn through injury and Sakho already sidelined, thoughts of what may lie ahead this weekend and beyond begin to take on the things from which nightmares are made. The match facts are simple: Ibrahimovic and Martial grabbed a brace apiece and the excellent Fletcher had equalised Ibra’s opener before the floodgates opened and once again dreams of Wembley were quashed. Worryingly, Dimi Payet having played a major part in the first half and seeing his shot spilled by De Gea for Fletcher to score, simply disappeared in the second half. There were moments when he simply looked to have lost interest as it all went pear shaped. Defensively, we had lost the shape which served us so well at White Hart Lane and against United on Saturday and although Lanzini showed some flashes when he arrived as a sub there was no serious threat from anywhere. A FOUR-ONE defeat is a confidence sapping scoreline and we must also hope and pray that Cresswell and Antonio’s injuries aren’t serious. The truth is – these are worrying times again and this was a defeat we simply didn’t need at this stage of our recent recovery. Slaven Bilic is facing the biggest moment of his Hammers managerial career – and just one other question: Where was Andre Ayew? It’s clear to me that we over performed last season and that this is actually in and around where we really are. As you rightly point out Hugh, no really decent back-up and I think Bilic chucked the towel in early second half (after Cressie and Antonio were subbed aka damage done). Where indeed was Ayew? No doubt training hard with our array of broken strikers and also rans. We look promising for about 2-3 yrs time with our youngsters though on the plus side… sigh, yawn! I agree it’s worrying times Fernandes was a lot better than Noble and Feghouli was better second half, I think it is easy to blame the players but Slav has to hold his hands up as well all season the players arrive on the pitch lacking the intensity they should, the defence started the season poorly and have got progressively worse, we shouldn’t need to play 3 CB’s if the two that played could defend properly likewise Antonio shouldn’t be a wing back he hurts teams when he plays as a winger in a 442 or 451 formation. In the first half I was screaming for Feghouli to be substituted for Lanzini Kouyate to step into midfield and Fernandes to switch to right back, with Antonio right wing none of it happened and with the way the players approached the game who knows whether it would have changed anything. Slav is very laid back and I like him but it looks like many of the team are playing well below their level and if we don’t start producing in the next two games I would be thinking about changing things before the transfer window, it’s easy to have a knee jerk reaction after such an abject performance but I base that on everything I have seen since preseason and the lack of significant improvement, other than the Palace and Spuds game we have been poor despite having an abundance of quality players. Yes, it’s a fact – Zaza is the worst player I’ve ever seen and that’s really saying something – I saw Joey Beauchamp and Alan McKnight – he is truly hopeless! Let’s get real here – A point in the Prem from these two Man U fixtures is good enough – Man U did us a favor tonight knocking us out of that Cup ,we are in real trouble at the bottom of the Prem so wake up people as it’s now already a relegation fight , New striker or not ! Oh and Merry Christmas ??? I too have been criticised for being negative but I too can smell relegation, for the optimists, and god bless them, they need to wake up as we are, once again, sleep walking into relegation. I just smiled when I read all the posts on here saying we can beat United in both games, we can ‘go all the way in the cup’ etc etc and that was based on one good performance against Spurs….a game we lost by the way. I will be there on Saturday but I fear for us I really do. Hey Michael Miller – Love that Avitar !! Lol yes MM that is a top avatar, Ironworker maybe you wanted us out of the cup but I didn’t we should be able to beat Utd or at least compete, personally I would take a cup over an average or a bad league position all day long. The league is an irrelevance unless you are competing to win it which we aren’t. Even as bad as we are playing it is unlikely we would go down although not impossible but if we did so what, nothing we are not used too a cup lives long in the history the last time we won anything meaningful was 1980 we should try and fix that not surrender meekly to an average team like we did tonight..
Just a quick one for DG! Will you be on Twitter tomorrow defending the summer signings again? Or will you be on apologising to us fans who travelled up to Manchester for the 2nd time in a few days and spent another load of money to watch a team with no heart or fight? Billic was responsible for our very good season last season despite us seeeing some cracks in our armoury. Billic is totally responsible for what we have done on the field this season since pre season, and if fans are honest with themselves they would see that. Off the pitch the owners took their eye off the ball and didn’t provide the proper quality to bring the club to the next level, and this is the result we are seeing and have been seeing since pre season. It’s hard to motivate quality players when further quality is not bought into the team. I don’t think the owners really overstand the position we are in. They have taken us to the Championship before like they did at Birmingham I think. This was the ideal opportunity to take us forward this season, but the owners are relying on hope to take us to the next level. We could end up another Birmingham if things get much worse. O K its a quarter final against man u. so where is our most expensive signing IN HISTORY? Are people finally waking up? I’ve been lambasted on here several times when I’ve pointed out that Bilic has to go before it’s too late. I can smell relegation. And that smell us getting stronger every week. They have to pull the trigger NOW. Agree with you Winchester hammer. We were told all the decisions on new players are made by Bilic. We were told the change of training ground would sort out the injury issue. He is not to blame for the injuries but he has not adapted to the problem at all. The only reason I would not pull the trigger is that I don’t see an obvious better choice around. We are in big trouble, especially with Sakho out and obviously with Carroll never likely to get back to his best. Just looked on physioroom.com Hammer64 and there is some good news. Gokhan Tore could be available from saturday! For me, I’m still a bit bemused by Tomkins moving on when Slav clearly wants to play 3 at the back. At first I thought he was going to promote Oxford and Burke but that just hasn’t happened. I mean, where is Reece Oxford – Liverpool blood two outstanding young prospects while we don’t let him push on from his great displays last season. Is the club insisting he sign a new contract first? As for Payet, it’s now blindingly obvious he can’t deliver without his water carrier Cresswell on the pitch. Cresswell makes Payet a top player as he pulls defenders away and that gives Dimi room – without Cresswell he’s average at best unless there is a deadball situation. Last thought, Kouyate and Obiang would be my midfield engine……..but we can’t do that as Kouyate is needed to fill the 3 at the back role…..which brings me full circle.